home / location & lifestyle / blog / question: is brunswick forest a pet friendly community? question: is brunswick forest a pet friendly community? Answer: Yes! 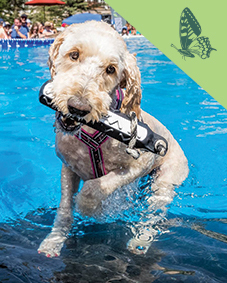 Brunswick Forest’s active lifestyle and plethora of top-quality outdoor amenities allow our residents and their beloved pets to make the most of each day! 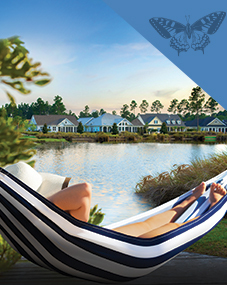 The Brunswick Forest community is ideally located just outside of beautiful Wilmington, NC, situated on 4,500 acres of pristine woodlands offering pets and residents alike a gentle North Carolina climate and unmatched lifestyle! Brunswick Forest offers a wide variety of amenities perfect for pet-lovers, like the 100+ miles of walking, biking, and nature trails that weave throughout the community, including the spectacular section of boardwalk surrounded by a lush natural area. Enjoy the Bark Park with small and large dog entries, so pooches of all sizes can run, romp and frolic freely! 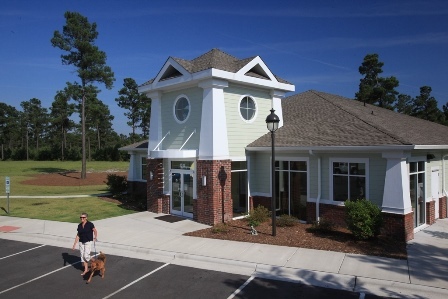 Brunswick Forest pet owners also enjoy the convenience of veterinary care located within the community. Brunswick Forest Veterinary Hospital is located in The Villages at Brunswick Forest and offers exceptional pet care for all of your pets whether they are fuzzy or feathered! 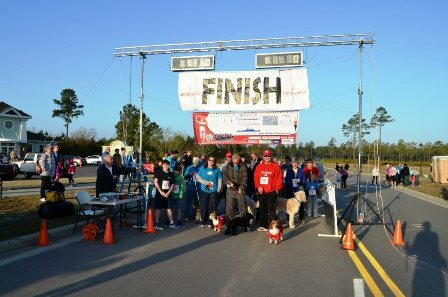 Make the most of this unique pet friendly community at this year’s Brunswick Forest Veterinary Hound Hustle 5k and 10k that allows you to trot with Spot! Pups and people come together for this great event that is held in The Villages at Brunswick Forest. The Hound Hustle takes place on Sunday, April 6th, find out more information here!